Bella Maison — Yates Associates Architecture Inc. This 10,000 s.f. 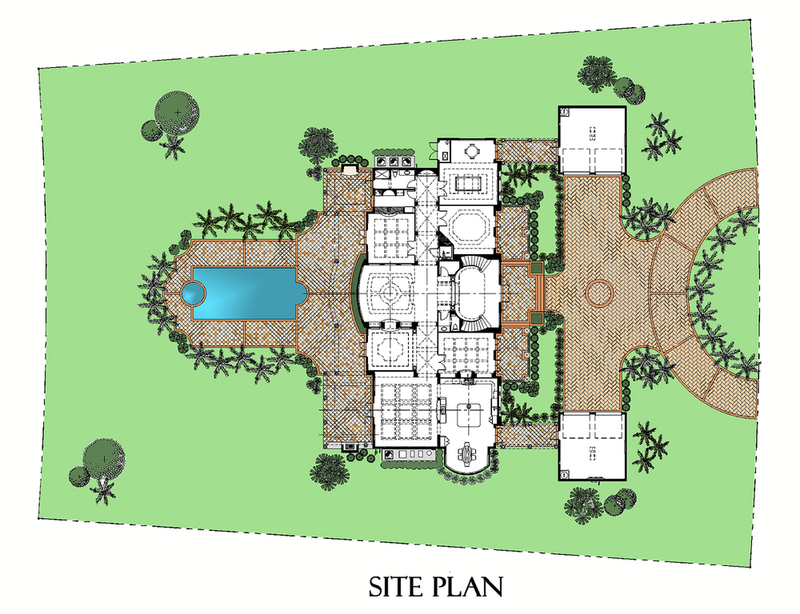 2 story custom residence is built in Windmill Reserve located in Weston Florida. The house sits on 1.5 acres and has a view of a natural preserve area. The house was designed in a French Provencial Style and was given the name Bella Maison. The house has split 2 car garages connected via breezeways. The foyer has a double curved grand staircase leading to a connecting bridge. The home has 6 bedrooms, 7-1/2 baths, huge kitchen, theater, billiard and card rooms,tap room, library, grand lanai, and elevator and his and her baths.